After the success of the original 'The Santa Clause', it was only natural that the second installment be bigger and better than the original. 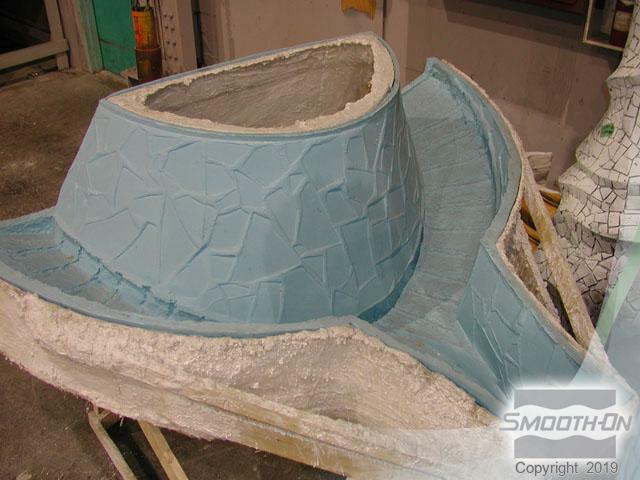 Smooth-On's mold rubber, casting resins, Matrix Neo system, and urethane foams were involved every step of the way. 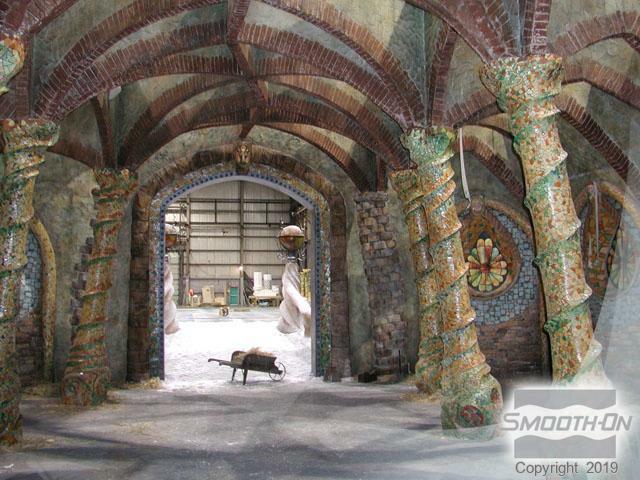 Whether it was casting a stained glass window out of our Crystal Clear resin or making faux stone archways using our Matrix Neo polymer gypsum casting system, Smooth-On made Santa's workshop take shape. 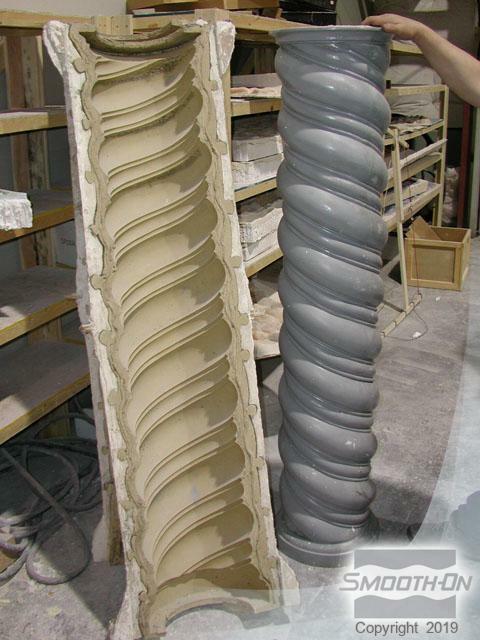 A Mold Max 30 mold used for casting archways out of Matrix Neo. 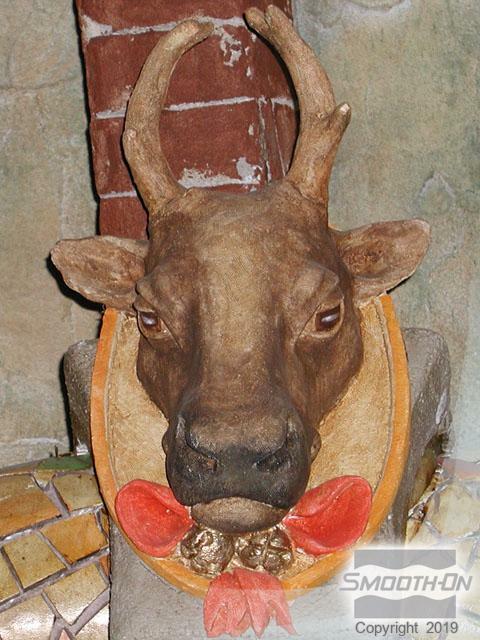 Neo is easy to paint with standard acrylic paints. 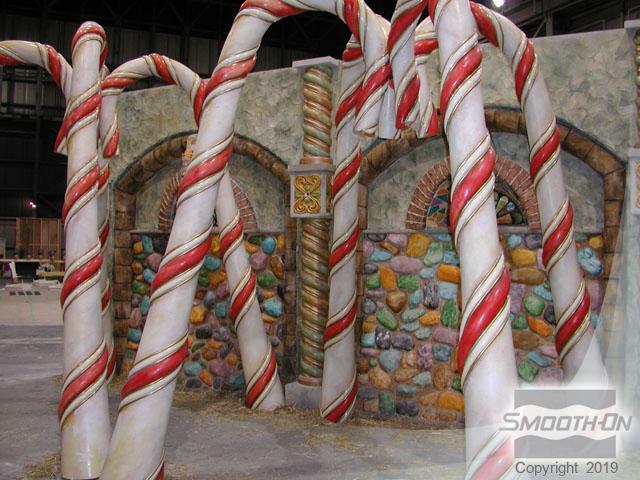 Cast foam-filled candy canes look heavy, but weigh mere pounds. 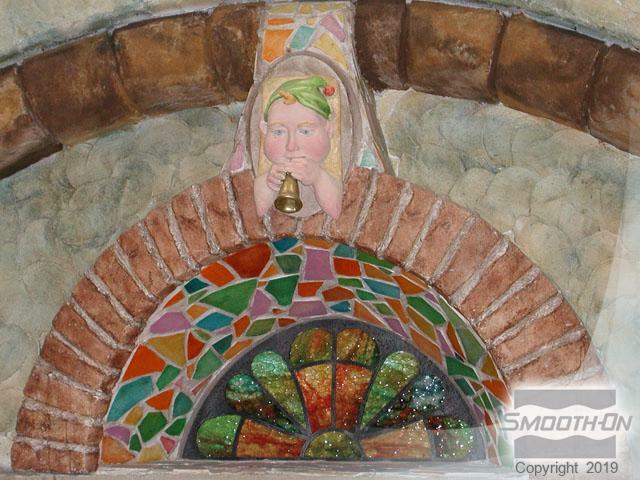 Another example of a finely detailed Neo polymer gypsum casting. A Brush-On 40 urethane mold with cast resin set piece. 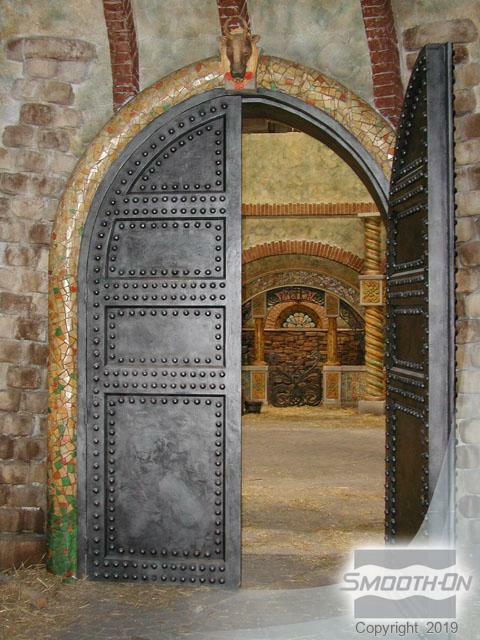 This foam-filled door has a skin of Smooth-On resin, making it look like solid steel. 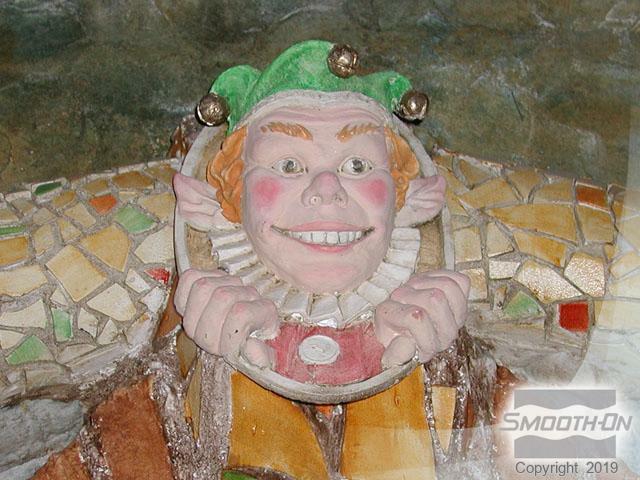 Tinted Smooth Cast pieces combine with Neo castings to form a whimsical but realistic appearance. 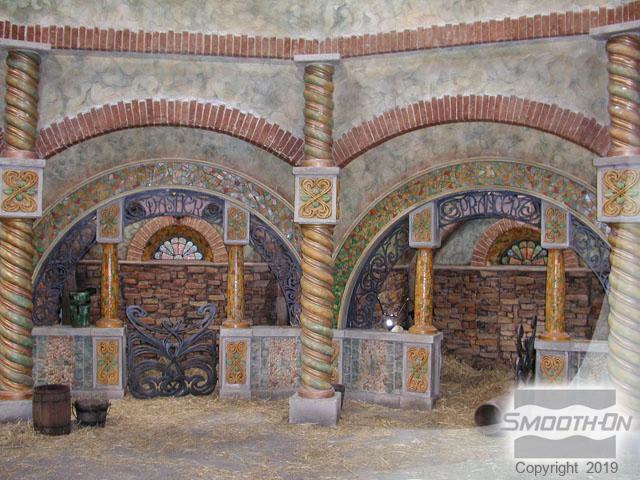 Fantasy and reality are combined in this outstanding set, using Matrix Neo, Smooth Cast resins, and many other materials.